The live video broadcast of the new Bayreuth Production of LOHENGRIN on July 25, 2018 can be streamed on BR-Klassik. Click HERE for more details. Compared to other famous theaters, the Festspielhaus is small and plain: an amphitheatrical auditorium with a mere 1,925 seats. In contrast to such plush opera houses as La Scala in Milan or Covent Garden in London, its thirty rows of seats are wooden, un-upholstered, and do not even have arm rests. Following Richard Wagner's specifications, the floors are also made of wood and, to this day, remain uncovered since the carpeting might absorb the fabled sound and disturb its famous acoustics. 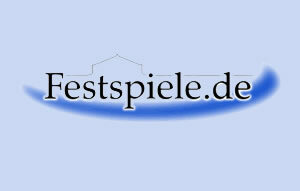 In addition, to this day, the Festspielhaus continues to operate its summer festival without air conditioning. It is truly a place from another time. The Festspielhaus's singular world status begins with the fact that it is the only theater built from the ground up to the strict specifications and whims of one creative talent; erected to present exclusively the handful of works of this composer. From the premiere of "The Ring of the Nibelung" to this day, it remains a place to listen to the work of only one composer. This yearly summer classic is a mixture of time-honored traditions and adventuresome experimentation. So powerful are the festival's contrasting values that, at times, its dichotomy has threatened its very existence. 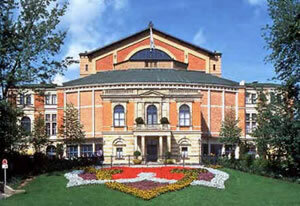 However, the Festspielhaus survived two world wars, and it celebrated one hundred years of existence in 1976. In the initial years of its second century it is still thriving as the one and only, ideal place to experience Richard Wagner's operas. 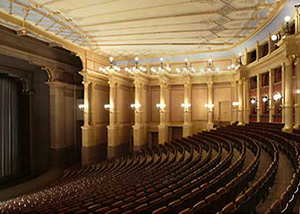 Before each performance is given at Bayreuth, and towards the end of each interval of those works that are divided into acts, a group of brass players appears on the balcony above Ludwig's extension and plays a fanfare based on a motive from the act of the opera that is about to start inside. They play three times before the performance begins or continues. It is a great Bayreuth tradition, and the magnificent playing gives you a hint of what you will hear inside. Here are the motives used, as specified by Richard Wagner. 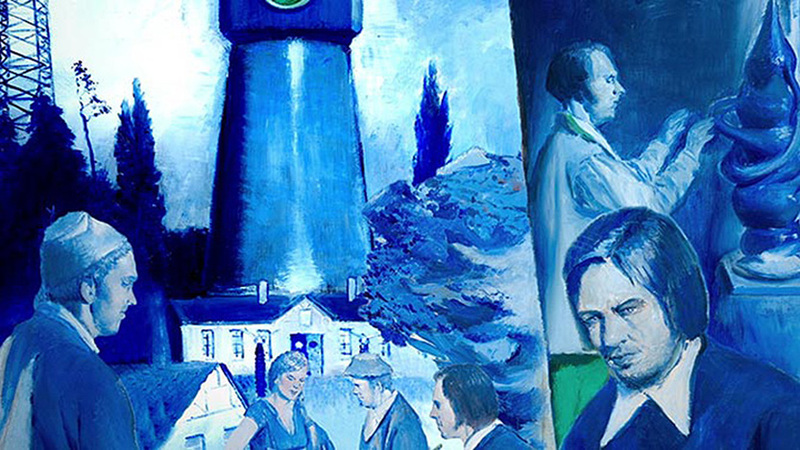 Richard Wagner did not specify a fanfare for Der fliegende Holländer, therefore before the start of this one act work, a motive from the opening of the overture is used. 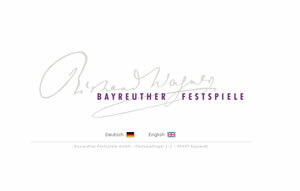 On the left you will find footage from opening night of the Bayreuth Festival 2006. The opera was Der fliegende Holländer as you can hear from the fanfare on the balcony playing one of the motives from the overture. 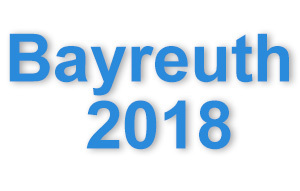 Opening night of the Bayreuth Festival is attended by many important figures from around the world, although German political and artistic figures predominate. This clip concludes with a mini interview with Katharina Wagner, daughter of the late former Festspielchef Wolfgang Wagner. Katharina's controversial production of Die Meistersinger von Nürnberg kicked off the 2007 Festival and has remained in the repertory ever since.